nce a year HMK sends out an open call for artists and curators to hand in a proposal for a residency period. 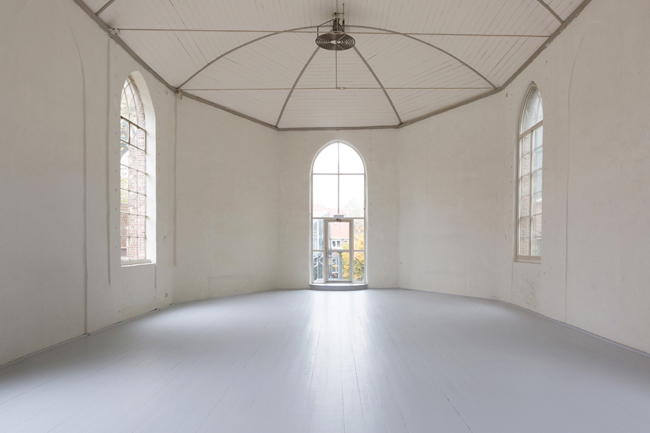 A residency typically lasts for 4 or 8 weeks (note: the chapel is only available for up to 4 weeks before an exhibition). During a stay in our guesthouse, residents are invited to develop, execute and present new work in the chapel/exhibition space and/or elsewhere in Hoorn. The Netherlands is a small country that is easy to navigate by train, and we stimulate artists to also use the residency as an opportunity to explore other places, museums and project spaces. – Priority is given to projects that propose a collaboration between international artists and artists based in the Netherlands. F*ckin’ amazing things here. I am very glad to look your post. Thanks so much and i am having a look ahead to touch you. Will you kindly drop me a e-mail? pcymygu,Hi there, just wanted to say, I liked this article. It was helpful. Keep on posting! kdmpfpruu,A fascinating discussion is definitely worth comment. I do think that you ought to publish more on this topic, it may not be a taboo tcmdsyl,subject but generally folks don’t talk about such subjects. To the next! All the best!! cqbkoqj,Thanks for sharing such an amazing blog. I am so happy found this informative blog. ofmxsxeuy,Definitely believe that which you said. Your favourite justification appeared to be on the net the simplest thing to remember of. ajezmk,Hi there, just wanted to say, I liked this article. It was helpful. Keep on posting! jmmqoiqemxl,Thanks for sharing such an amazing blog. I am so happy found this informative blog. tgkqyjegie,This website truly has alll of the information and facts I wanted about this subject and didn?t know who to ask. tcpvzclnne,Wonderful one thank you so much ! dfkoowusud,Hi there, just wanted to say, I liked this article. It was helpful. Keep on posting! scdwvmowx,Your blog was informative and valuable to me. Thanks for sharing. vzasyvn,Definitely believe that which you said. Your favourite justification appeared to be on the net the simplest thing to remember of. cbznitvwzpw,Thanks for sharing such an amazing blog. I am so happy found this informative blog. cytigx,Waw! Its really great and wonderful ever i found. Thank you for sharing this info. upflhjj,Definitely believe that which you said. Your favourite justification appeared to be on the net the simplest thing to remember of. mhtjizq Adidas Yeezy,This website truly has alll of the information and facts I wanted about this subject and didn?t know who to ask. uookyjcagt,Very helpful and best artical information Thanks For sharing. ityffvzv Yeezy 350,Thanks a lot for providing us with this recipe of Cranberry Brisket. I’ve been wanting to make this for a long time but I couldn’t find the right recipe. Thanks to your help here, I can now make this dish easily. hisinmgnar,Very informative useful, infect very precise and to the point. I’m a student a Business Education and surfing things on Google and found your website and found it very informative. xwxsgjmgy,We have a team of experts who could get you the correct settings for Bellsouth net email login through which, you can easily configure your email account with MS Outlook. ofzmqn,If you have any struggle to download KineMaster for PC just visit this site. pumgfrxcm,Some really nice stuff on this website, I enjoy it. rkvajtw Yeezy 350,If you have any struggle to download KineMaster for PC just visit this site.